ROCKVILLE, Md., May 2, 2018 — The Comfort brand revealed a new logo today to thousands of franchisees at Choice Hotels’ annual convention. The unveiling marks an important milestone for the brand which has been experiencing a renaissance since committing to change seven years ago. ROCKVILLE, Md., April 25, 2018— Cambria Hotels celebrated its second grand opening in the Phoenix area in back-to-back months by debuting the 136-room Cambria Hotel Phoenix Chandler – Fashion Center last night. Franchised by one of the world’s largest hotel companies, Choice Hotels International, Inc. (NYSE: CHH), the property was developed by Hines and will be managed by Concord Hospitality. Choice Hotels to Develop Clarion Hotel in Columbia, Pa.
Rockville, Md. (April 23, 2018) Choice Hotels International, Inc. (NYSE: CHH), one of the world’s largest hotel companies, signed an agreement with Cimarron Investments, LLC to develop a unique, new Clarion Hotel in downtown Columbia, Pa. The multiple-story, 60-room property is an adaptive reuse of the town’s historic potato chip factory, preserving much of its original structure. The Ascend Hotel Collection Welcomes The Hotel Morrison To Dania Beach, Fla.
ROCKVILLE, Md., April 10, 2018– The Hotel Morrison in Dania Beach, Fla., joins the Ascend Hotel Collection by Choice Hotels International, Inc. (NYSE: CHH), one of the world’s largest hotel companies. This upscale boutique hotel will join the world’s first and largest soft brand that’s known for inspiring individuality. April 3, 2018 — Sleep Inn, part of Choice Hotels International, Inc. (NYSE: CHH), has opened a new property in Houston. Cambria Hotels Celebrates Grand Opening in Nashville, Tenn.
Rockville, MD,.– Choice Hotels International, Inc. (NYSE: CHH), one of the world’s largest hotel companies, announced David Hale and Chris Leiser have joined the company as part of the Cambria Hotels and Ascend Hotel Collection development teams in the Midwest region. ROCKVILLE, Md– Choice Hotels International, Inc. (NYSE: CHH), one of the world’s largest hotel companies, in collaboration with Holladay Properties, LLC and Nationwide Hotel Management Company LLC, today announced the opening of WoodSpring Suites Chicago Tinley Park. The hotel is located at 18636 West Creek Drive in Tinley Park, Ill.
ROCKVILLE, Md.,–The Cambria Hotels brand continues its westward expansion with the grand opening of the Cambria Hotel North Scottsdale Desert Ridge in Phoenix. 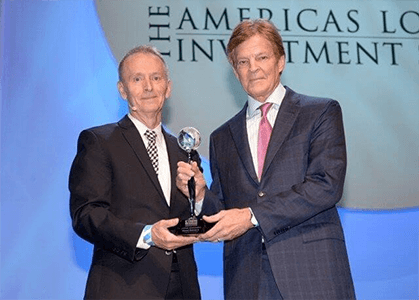 Choice Hotels International, Inc. (NYSE: CHH), one of the world’s largest hotel companies and franchisor of the Cambria Hotels brand, hosted the celebration yesterday evening with developer O’Reilly Hospitality Management, LLC. San Antonio, TX.– The Quality Inn I-10 East near AT&T Center, a franchise of Choice Hotels International, Inc. (NYSE: CHH), one of the world’s largest hotel companies, is now offering guests a fresh new look. ROCKVILLE, Md.,– Choice Hotels International, Inc. (NYSE: CHH), one of the world’s largest hotel companies, has signed an agreement with Frontier Hospitality Group to develop the first Cambria hotel in Iowa. The four-story, 108-room Cambria Hotel Bettendorf will be located at the intersection of Middle Road and Forest Grove Road. Choice Hotels to Develop New Cambria Hotel on Marina Square in Bremerton, Wash.
ROCKVILLE, Md.,– Choice Hotels International, Inc. (NYSE: CHH), one of the world’s largest hotel companies, has signed an agreement with Sound West Group to develop a Cambria hotel in Bremerton, Wash. Located at 232 Washington Ave., the five-story, 121-room Cambria Hotel Bremerton will be part of a mixed-use waterfront development on Marina Square. ROCKVILLE, Md., Feb. 14, 2018– Choice Hotels International, Inc. (NYSE: CHH), one of the world’s largest hotel companies, in collaboration with HOS Management, broke ground yesterday afternoon at the future home of the Cambria Hotel Savannah Historic District. Located at 321 Montgomery St., the 103-room, six-story property is slated to open in 2019. 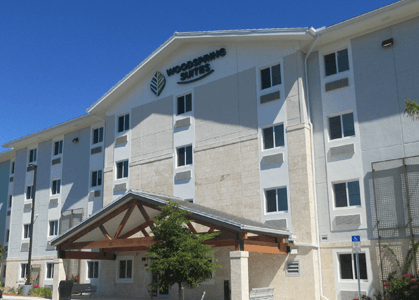 ROCKVILLE, Md–Choice Hotels International, Inc. (NYSE: CHH), one of the world’s largest hotel companies, completed its acquisition of the brand and franchise business of WoodSpring Suites, an extended-stay lodging brand, from WoodSpring Hotels LLC.